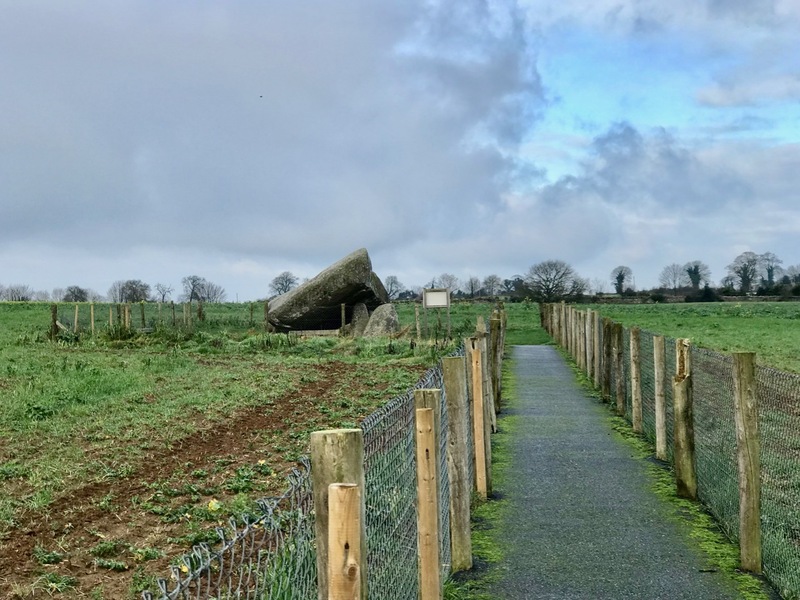 It’s half an hour’s drive off the motorway, leaving at Fermoy – but well worth the diversion. Lismore, County Waterford, is an ancient town. St Carthage arrived here in 635 and established a great centre of learning famous throughout Europe; the Vikings ransacked it in the ninth century, after which the Norman Prince John, son of King Henry II, arrived in 1185 to build the Castle, which passed through the ownerships of Walter Raleigh and the Great Earl of Cork, before becoming the Irish residence of the Duke of Devonshire. So there’s lots to see, and lots of history to take in: be prepared for many visits! 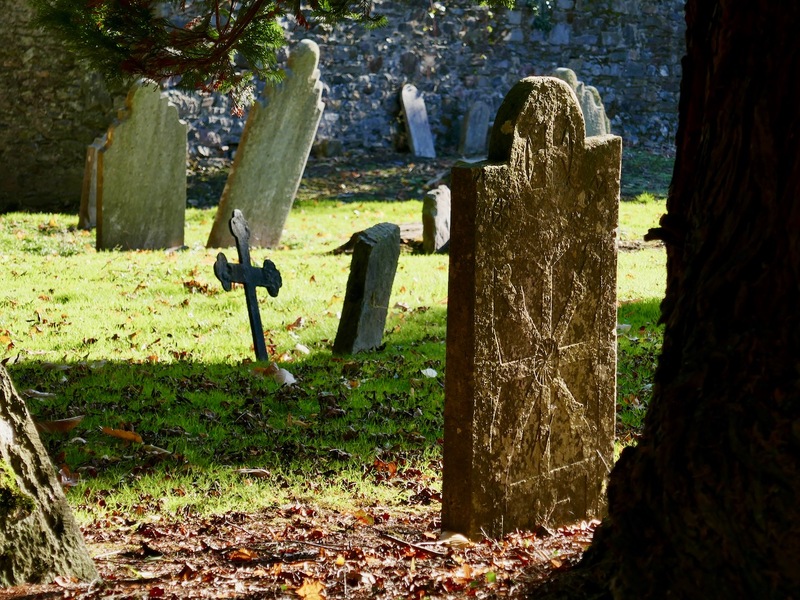 Our quest was to find a grave in the churchyard of St Carthage’s Cathedral. 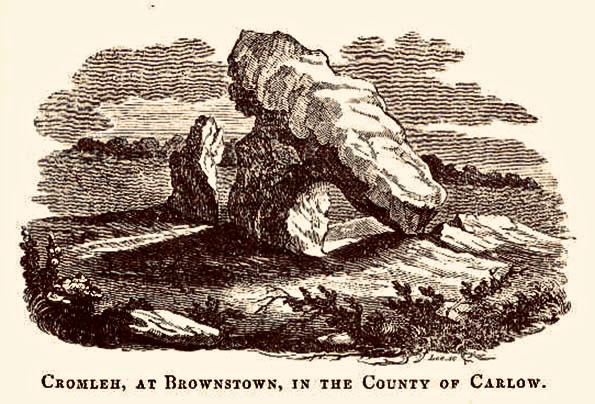 I am currently preparing a talk on the links between West Cork and Zululand (believe me, this is relevant)! 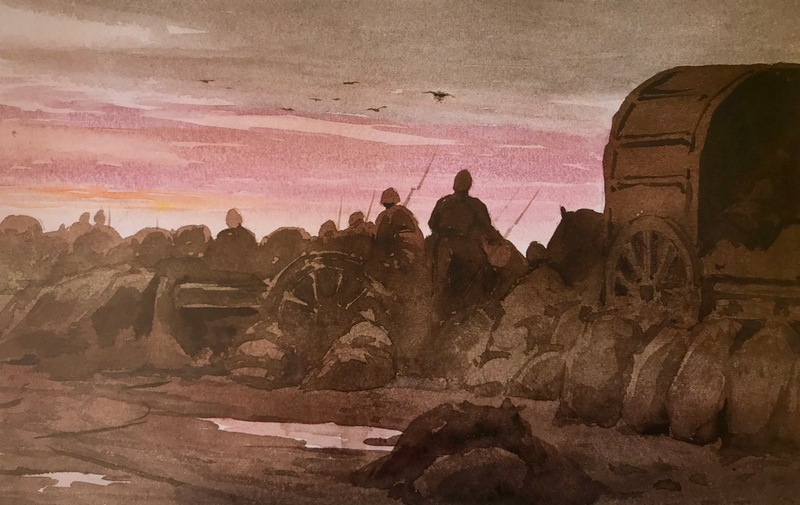 The principle subject of this talk is a ‘soldier artist’ – William Whitelocke Lloyd, who was born and brought up in Strancally Castle, County Waterford, but lived for most of his adult life in Glandore, West Cork, (where you will find a pyramid). 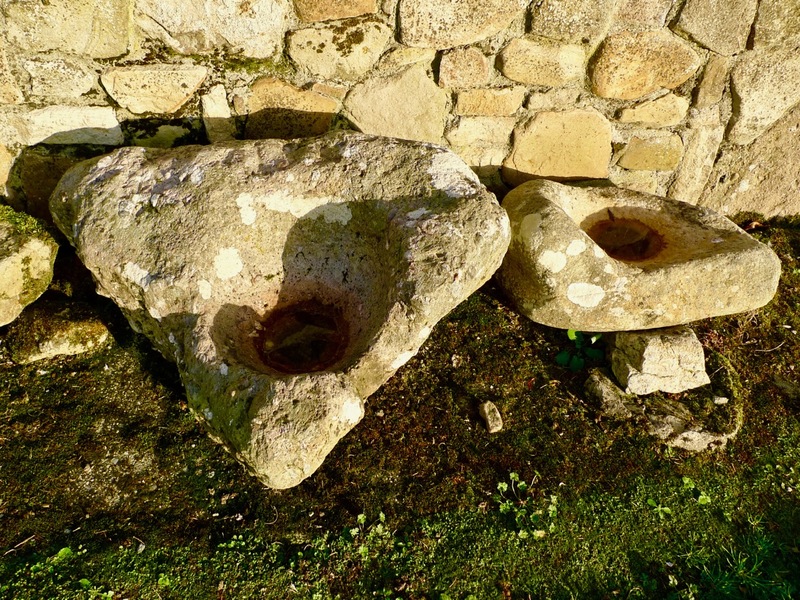 What should we find in St Carthage’s? Another pyramid! But that’s incidental to the main story here. 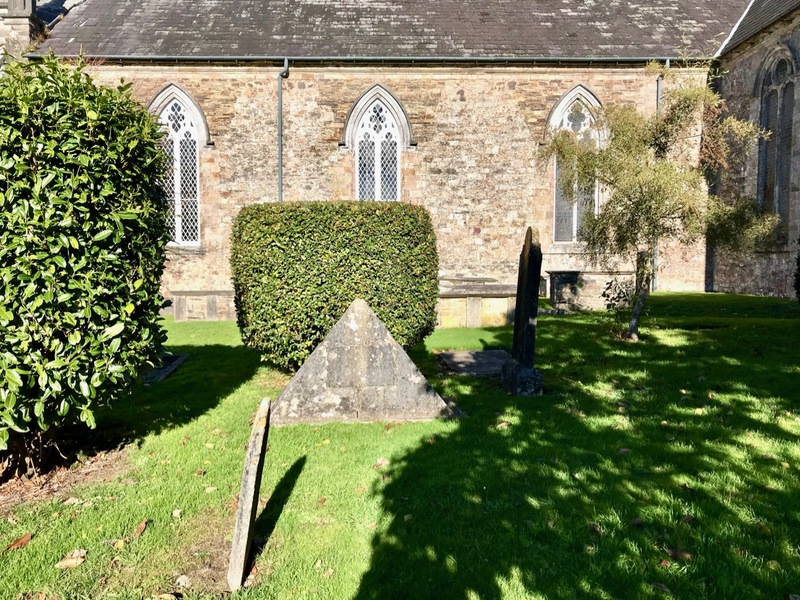 The Cathedral is said to be on the site of the original monastic foundation, and there’s some pretty ancient stonework inside it, including the quite remarkable tomb of the McGrath family which dates from 1486. 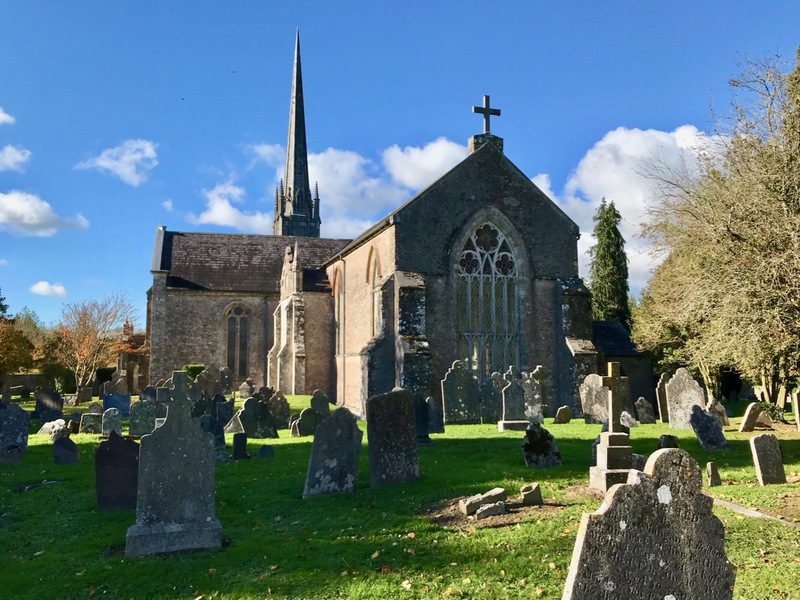 The present building, however, comes mainly from the early seventeenth century when the Earl of Cork carried out major works, but also retained some earlier structure. We did find the Whitelocke Lloyd grave, a little forlorn, close to the north west corner of the Cathedral. It has not weathered well and the inscription is not easily decipherable; a fallen cross lies broken across it. 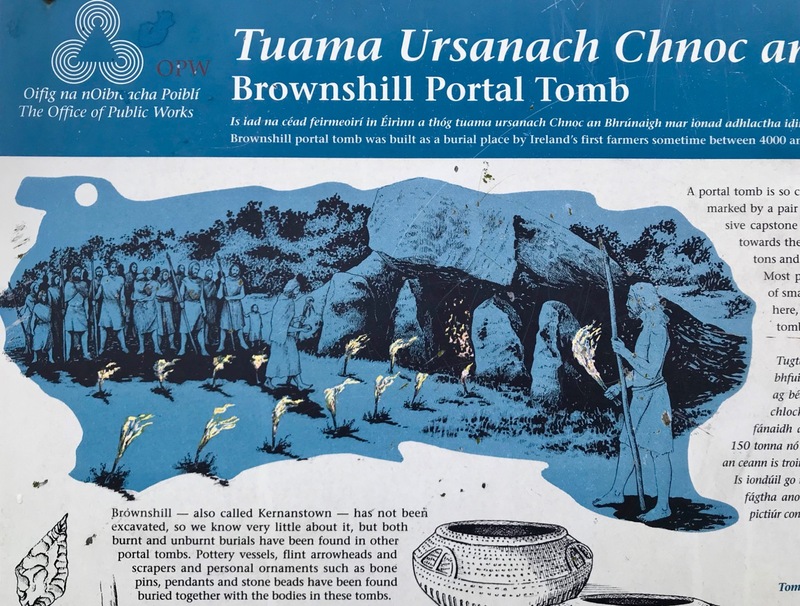 If you want to find out about this man’s exploits in the Zulu wars of 1879 – 80 and his career as an artist – for which he had no formal training – and why he is buried here with no family around him (his wife Catherine Anna Mona Brougham, daughter of the Dean of Lismore lies in a matching grave in Casteltownshend) you’ll have to come to my talk! The somewhat forlorn grave of William Whitelocke Lloyd in the grounds of the Cathedral (above) and (upper pictures) two examples of the watercolour sketches of William Whitelocke Lloyd carried out while he was on active service in Africa. 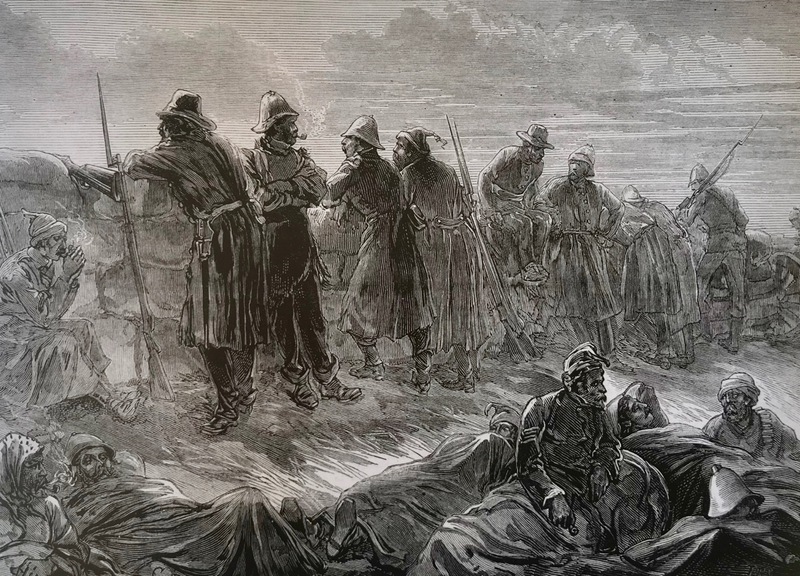 They were faithful records of the terrain and the conditions which the soldiers endured. 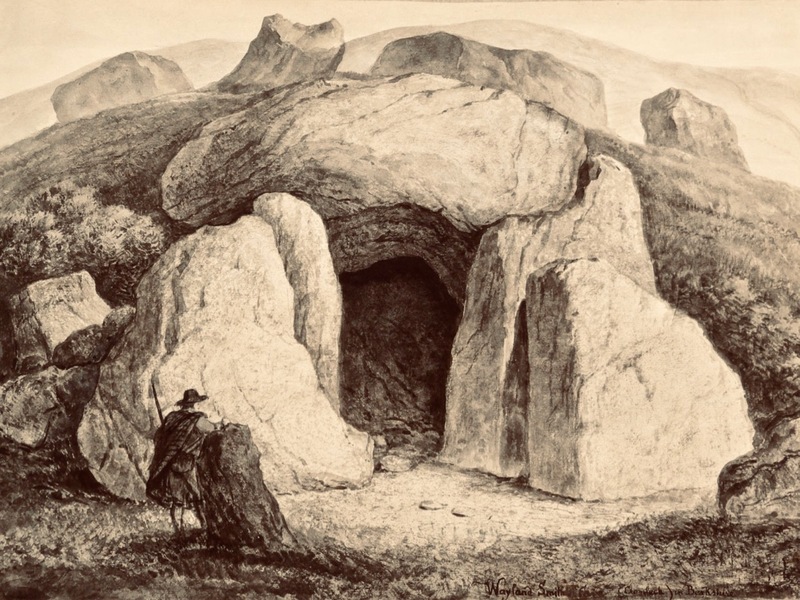 Whitelocke Lloyd was ‘discovered’ by the Illustrated London News who used his drawings to produce engravings for publication – one is shown below. 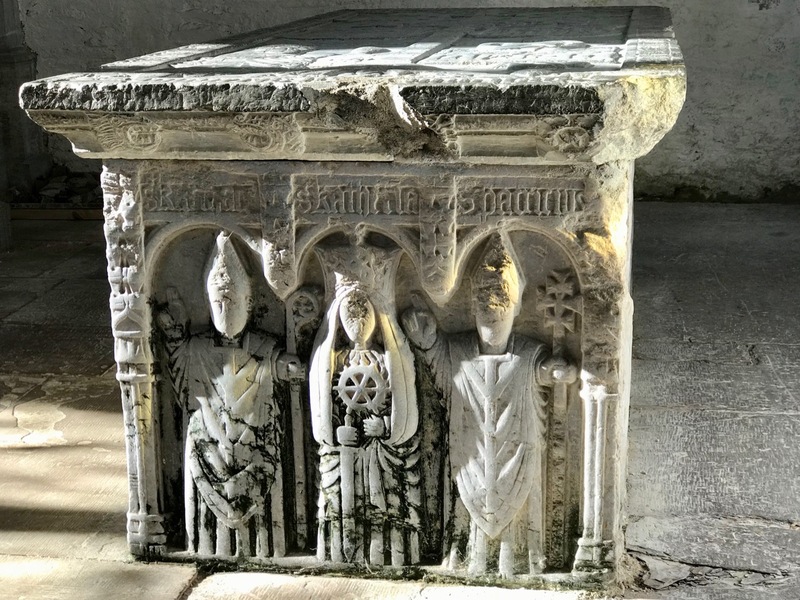 Today’s post is largely a miscellany of the splendours we discovered in and around St Carthage’s Cathedral, and we hope this will inspire you to go there yourselves: it’s only two hours away from home – a mere hop and a skip. 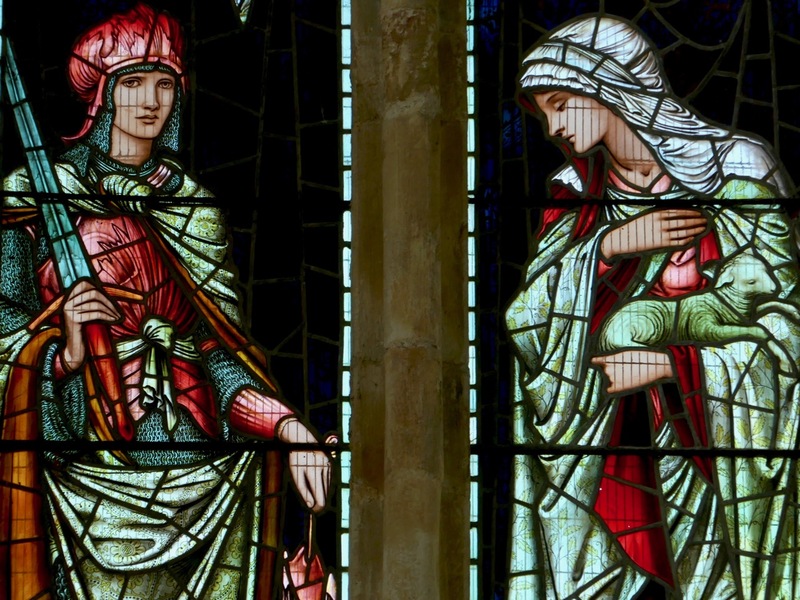 Finola was delighted to find this rarity in St Carthage’s Cathedral – a window by the pre-Raphaelite artist Edward Byrne-Jones. As with many Anglican churches, there are numerous elabortate memorials on the walls of St Carthage’s Cathedral. Here are just three examples, above. 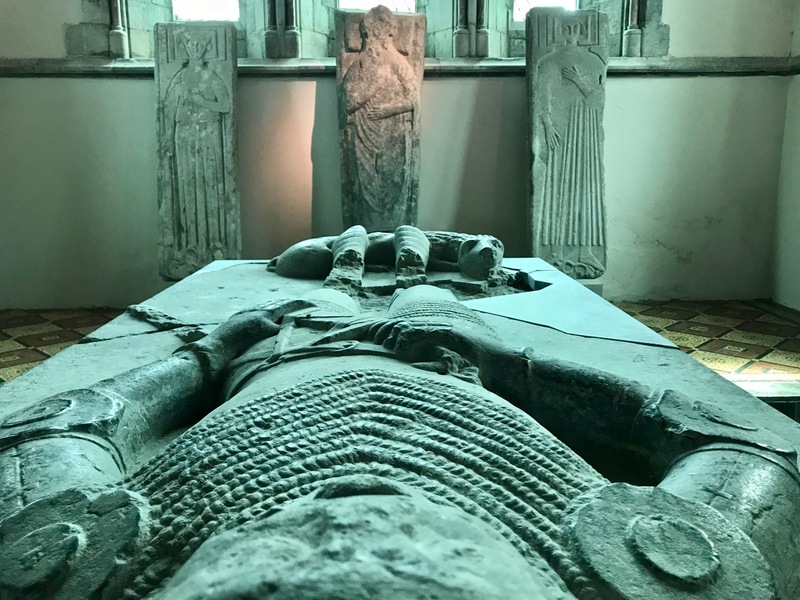 In the Cathedral reposes this McGrath family tomb – one of the finest examples of sixteenth century stone carving in Ireland. 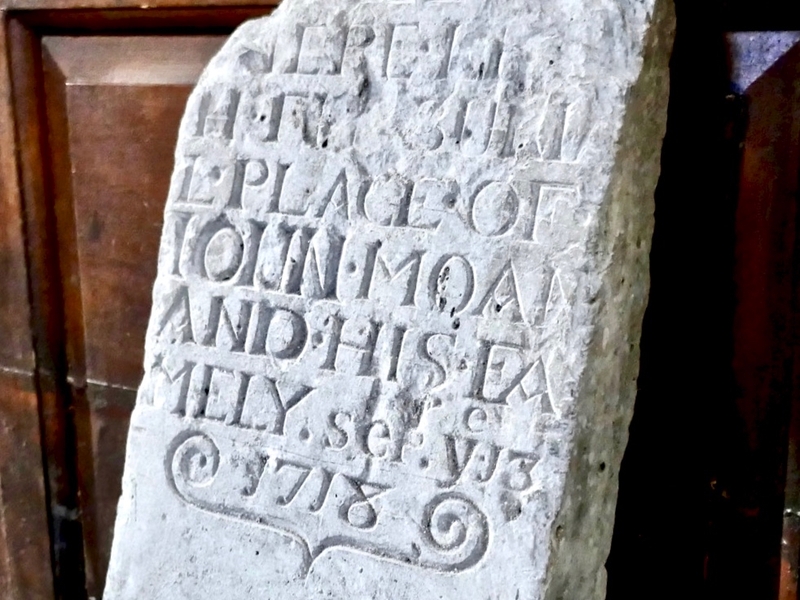 Below – one of the earliest grave inscriptions, dating from 1718. I said I’d be back in a week and it’s been a year! 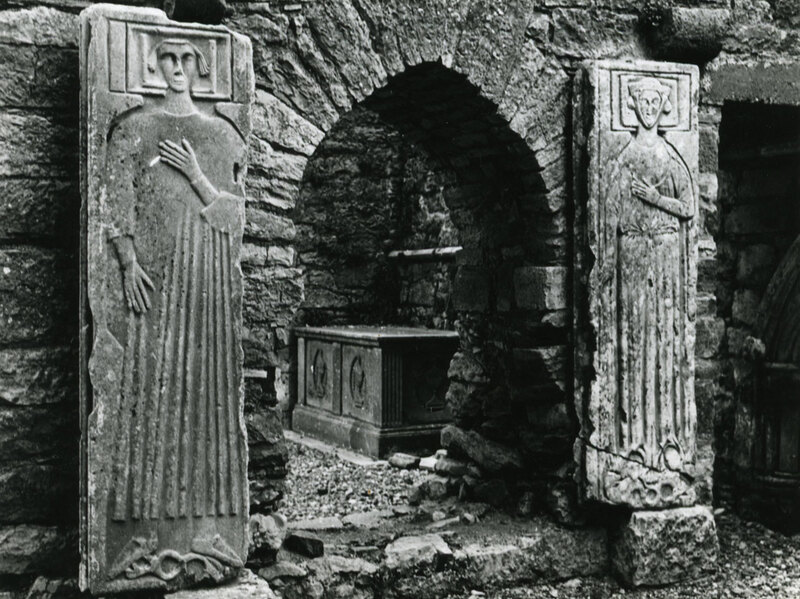 I’ve been working my way through a series of posts on Irish Romanesque architecture (see the bottom of this post for the list so far) and last October I wrote the first of a two part post on Cormac’s Chapel, the Romanesque jewel on the Hill of Cashel in Co Tipperary. 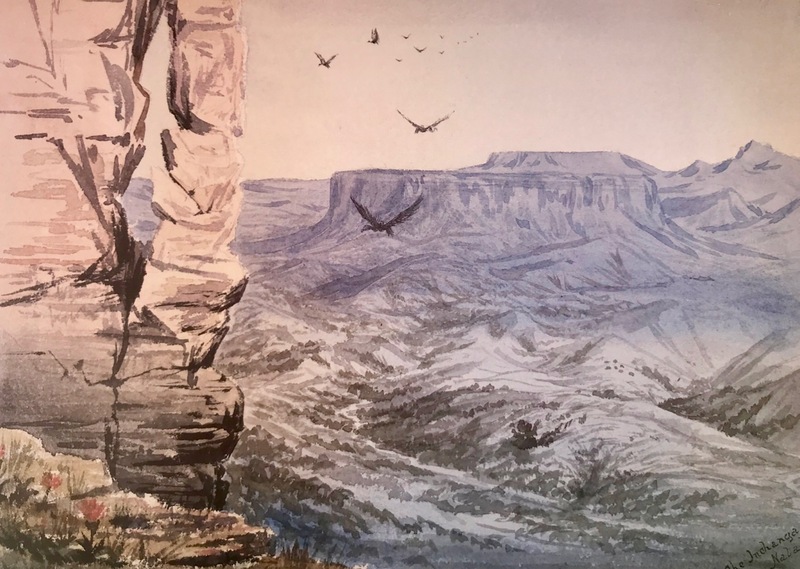 Since this is part 2 (unless you’ve read it before and have an amazing memory) go back there now and read up on the Chapel and its history, as well as my detailed description of the exterior. Right, done that? Great, then come on inside. I was fortunate to visit Cashel last year, when the Chapel was open and I could spend as long as I liked taking photographs inside. 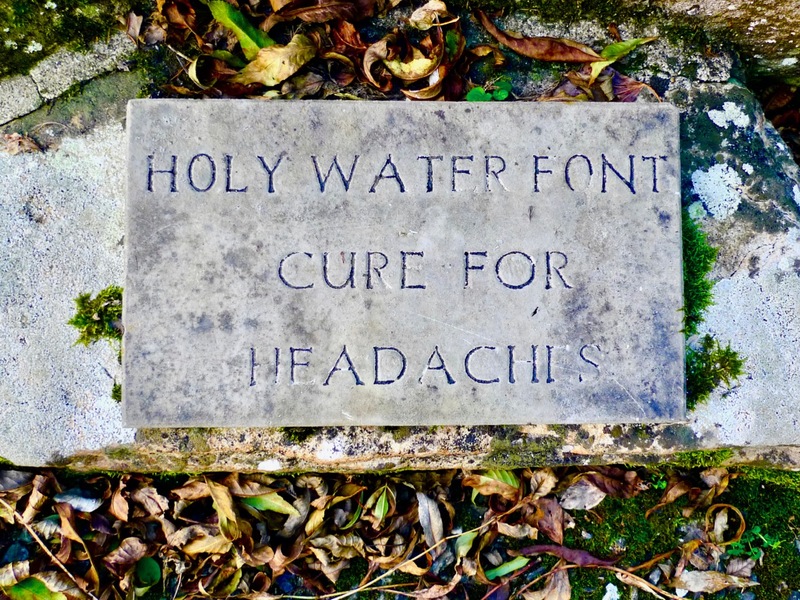 This followed many years when it was closed – a conservation measure necessary to address the dampness which plagues stone-roofed buildings. During this open period it was noted that the number of visitors, all emitting carbon dioxide, was having a detrimental effect on the interior, so now it is only accessible during a guided tour and for a limited stay inside. 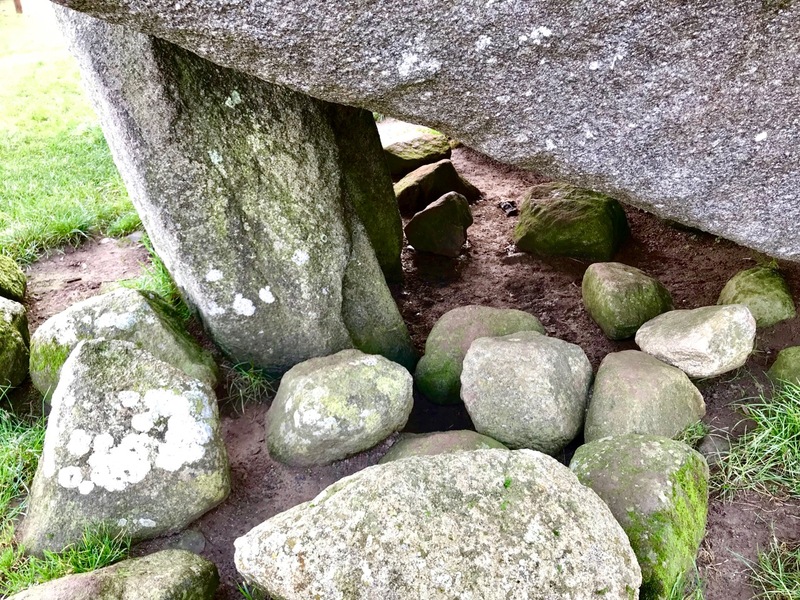 Hopefully, this post will help you see things that you might miss during a short visit, or even items that those excellent guides might not cover. This was a royal chapel, used for high ceremonies and built to enhance the prestige of King Cormac. 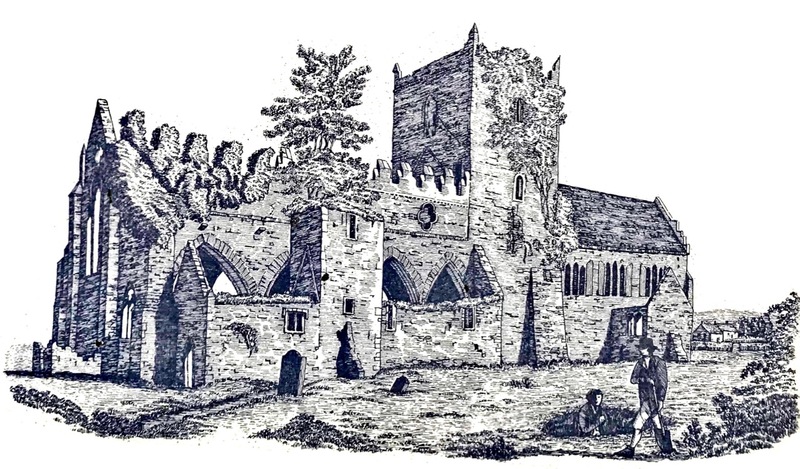 When we think of such edifices, our mind probably pictures a cathedral, but large churches were still in the future in Ireland in the first half of the twelfth century and Cormac’s chapel, although small by European standards, was not outside the normal dimensions of Irish churches of the period. What was important was not its size, but the extraordinary attention to detail and decoration that went into its construction. Moreover, it had a second storey, under the steeply pitched roof. Although we are not completely sure what the functions were of that upper level, it effectively doubled the space available to its users. Inside, the chapel is a nave and chancel structure, common among Romanesque churches, the only difference being the altar projection at the end of the chancel. The upstairs is accessed through the two square towers (see Part 1) and an ornate door in the north wall opens to a spiral staircase leading up to that floor (not accessible to the public). 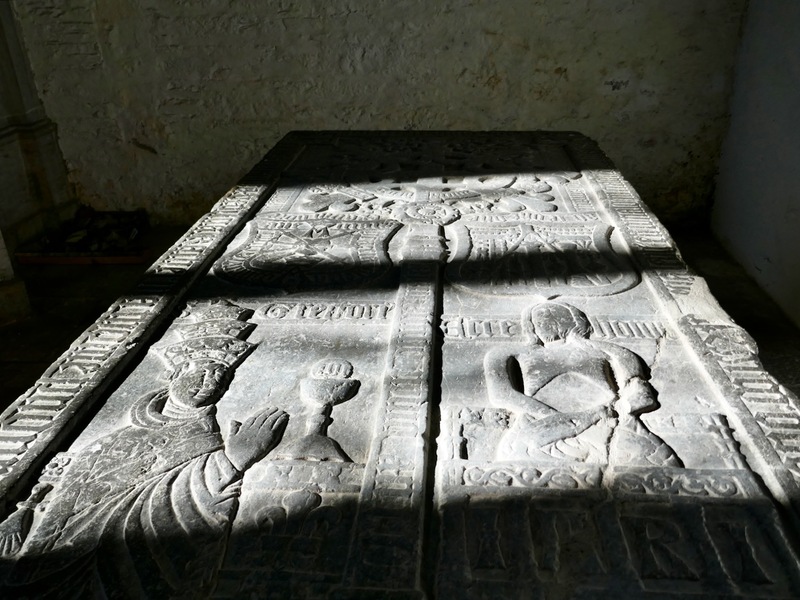 The size of this door and its elaborately carved orders speaks to its importance in some ceremonial way – O’Keefe says it tempts us to imagine the enactment inside Cormac’s Chapel of some ritual of procession involving relics. * In contrast, the north and south doors, the main entries to the nave, which are ornate on the outside, are relatively plain on the inside. The nave is barrel vaulted, with parallel ribs running across the ceiling. The walls have blind arcades up to half their height, topped by a string course and a series of columns to support the ribbing. 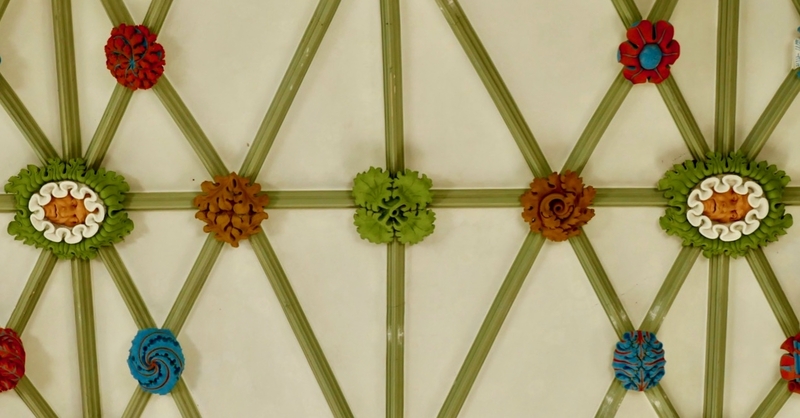 The blind arcade arches are carved with chevrons (above) while the columns between the arcades have irregular checkerboards of chevrons, lozenges and petals (below). The west wall has three windows on its upper stage, although only the middle one admits light now. 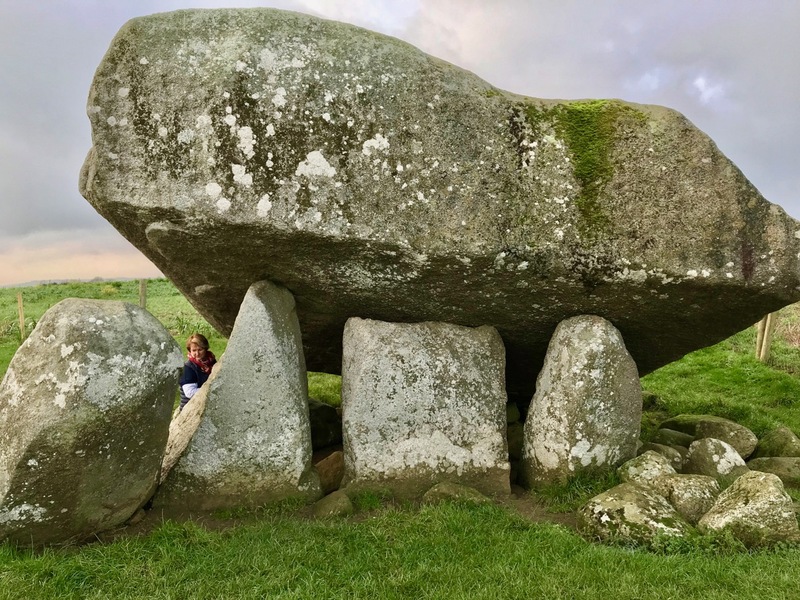 Beneath those three windows is a fragment of a large stone box, often described as a sarcophagus, wonderfully carved in the ‘Urnes’ style – a Scandinavian tradition of intertwined animals. 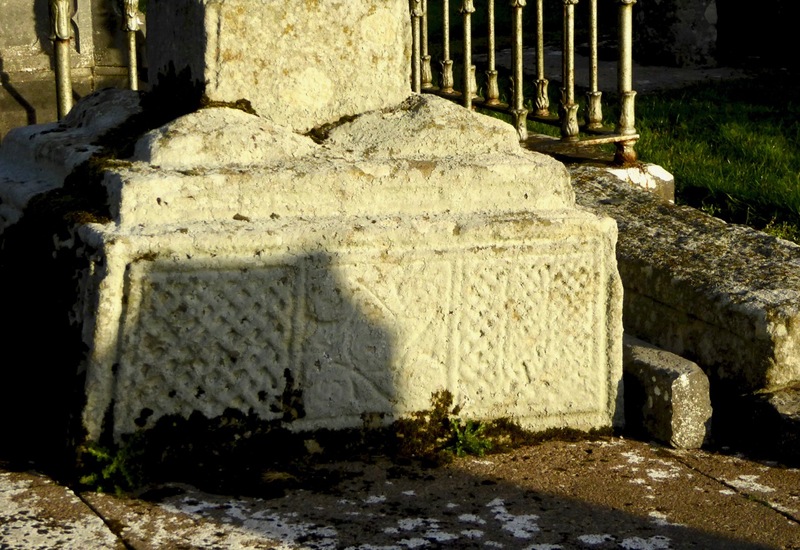 Tradition has it that this is the tomb of Cormac himself, and certainly this carving style, although very different from what is found in the rest of the chapel, is probably contemporaneous with it. It was moved to the chapel from the later, Gothic, cathedral, where it was found. Whatever its use, it is a magnificent artefact, the work of a master craftsman. At the east end of the nave is the chancel arch with four orders. 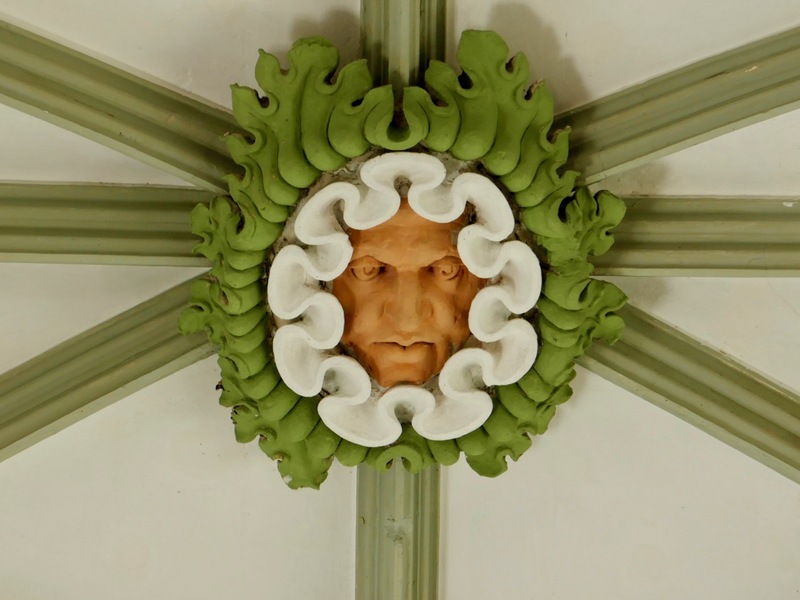 The archivolts of the first order mainly consist of carved heads, each individual and striking. Some are more time-worn than others, but the features can be clearly discerned in many. 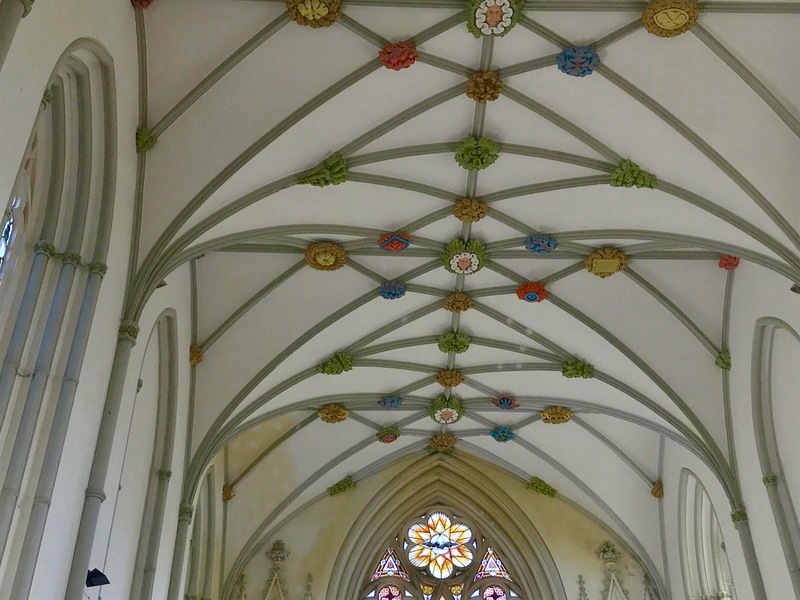 The chancel is also rib-vaulted, like the nave, but this time the ribs intersect at a central point, rather than being parallel. Like the nave, the walls have blind arcading above which are further arches and window-openings. 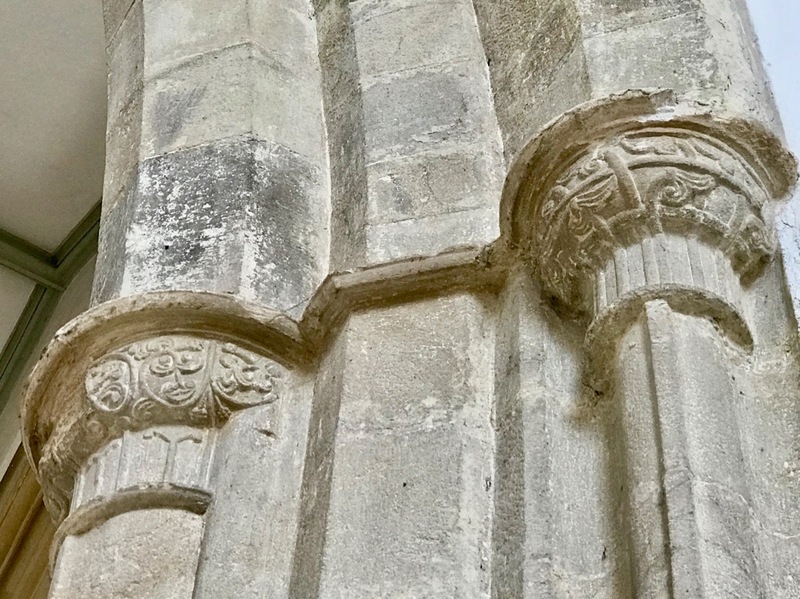 Capitals are decorated with scrolls and scallops. A final arch spans the projection which held an altar. The arcading in this final section is quite elaborate, and two deeply splayed windows provide light to this area. 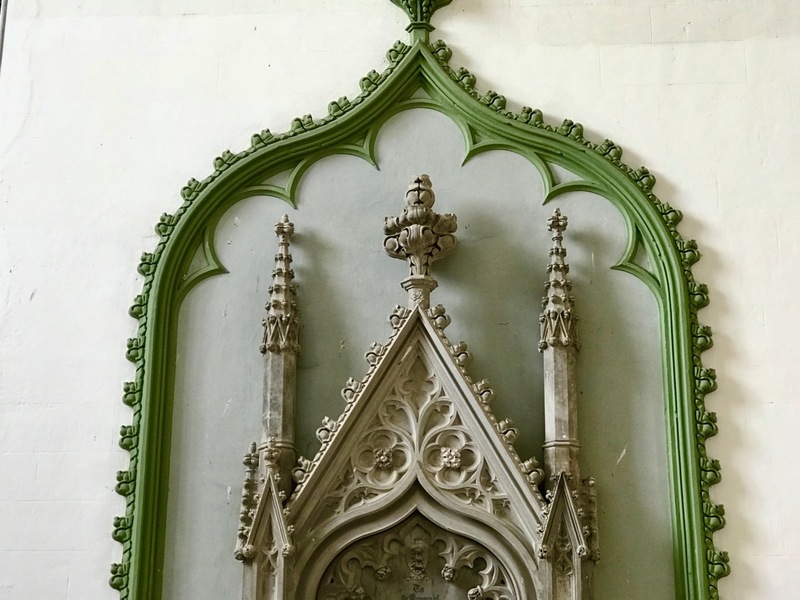 Once in the chancel area, which has been well lit, you can start to appreciate the vestiges of paintings that would have enlivened the interior of Cormac’s chapel. 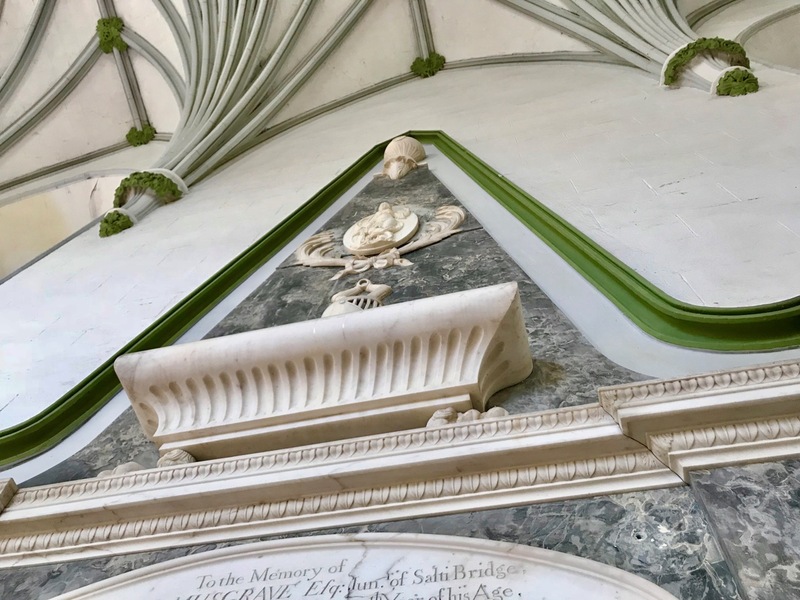 A conjectural reconstruction of the artwork is provided in an explanatory panel – the chapel must have looked magnificent and colourful indeed. Preserving these precious fragments has been a tremendous effort. Finally, stand in the nave and take a careful look around – you will see that the chancel is offset to one side of the nave. 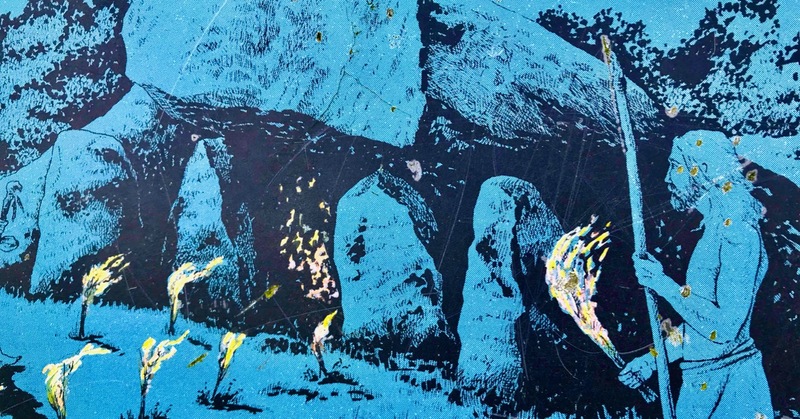 While some authors have suggested this as a decision to change dimensions midway through the building process (Dermot Bannon’s nightmare) and others have ruminated about mistakes, O’Keefe demurs. 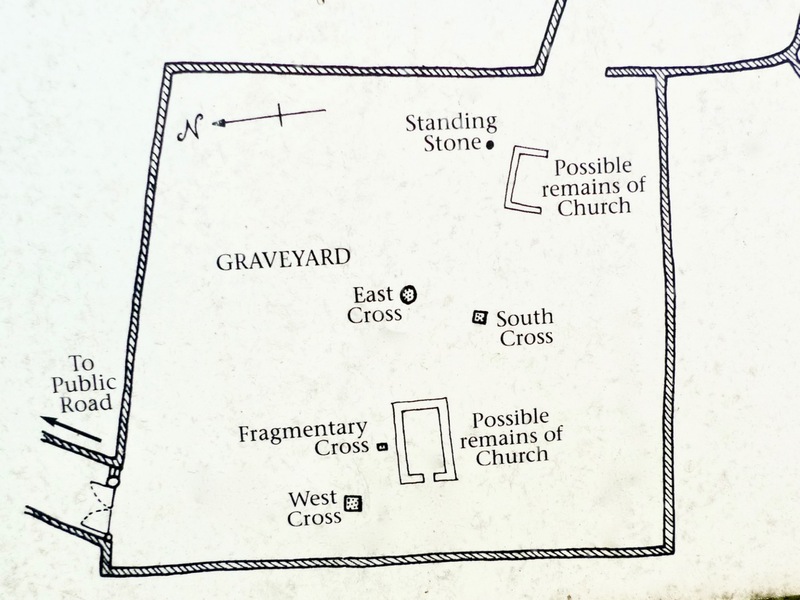 It makes a lot more sense, he says, to interpret Cormac’s Chapel as built to plan, and to suggest that the nave widens on the north side to reflect and accommodate the visual spectacles of procession involving both north-side doorways. 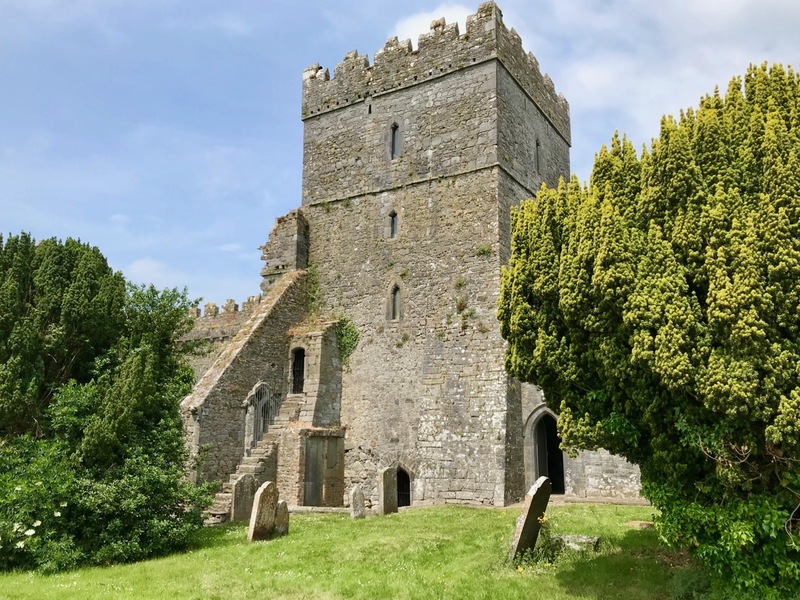 There you have it – the glorious high point of Irish Romanesque architecture inside and out. 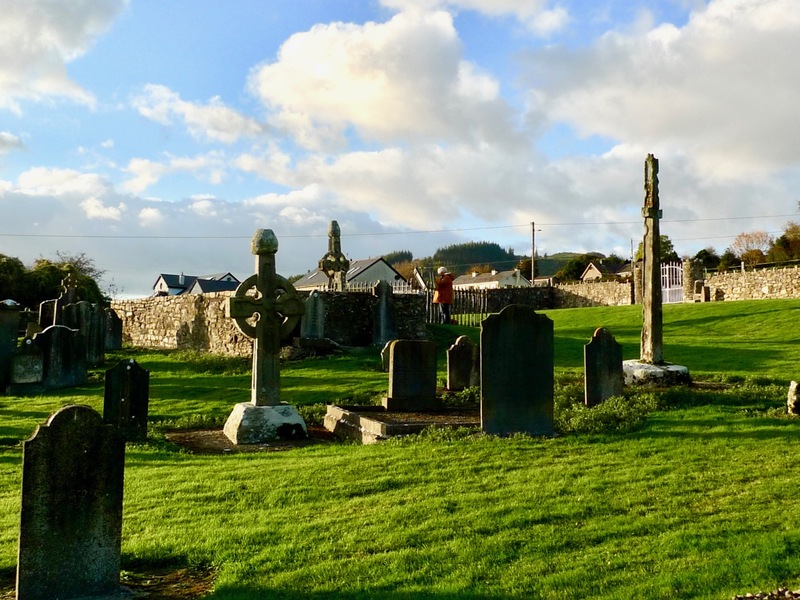 If you haven’t been to Cashel yet, there’s a treat in store. 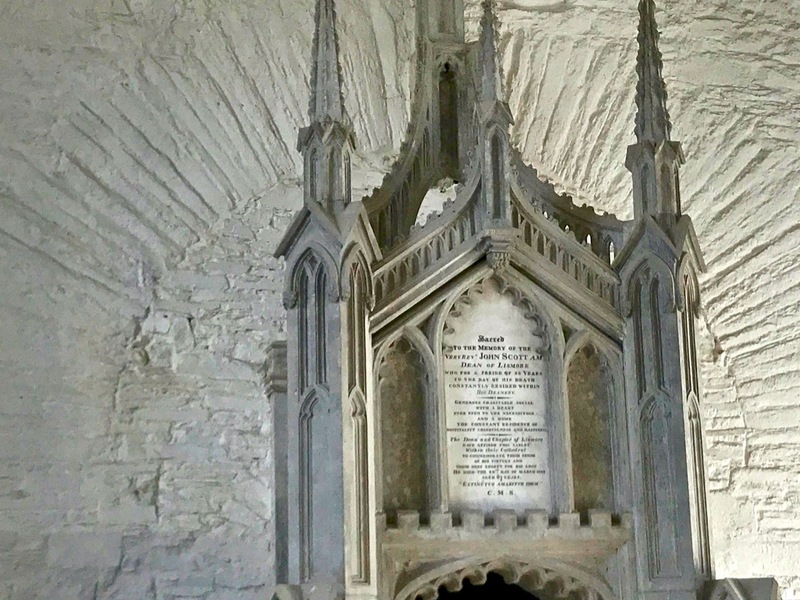 And if you have, well, go again, and make sure to sign up for the guided tour that includes Cormac’s chapel. 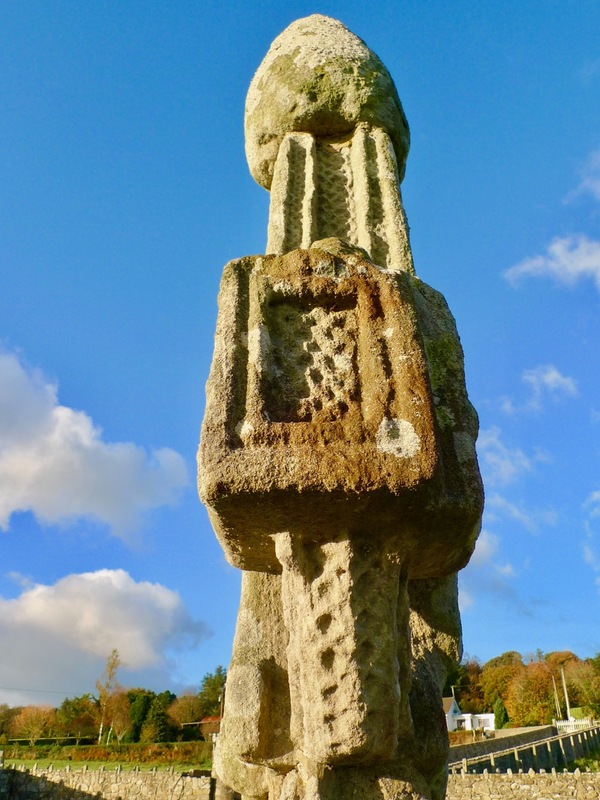 *Once again, I relied heavily on Prof Tadhg O’Keefe’s manuscript, Romanesque Ireland: Architecture and Ideology in the Twelfth Century, which he has generously uploaded to Academia. During our recent visit to Ballyfin House, County Laois, we stayed in the ‘Butler Room’. 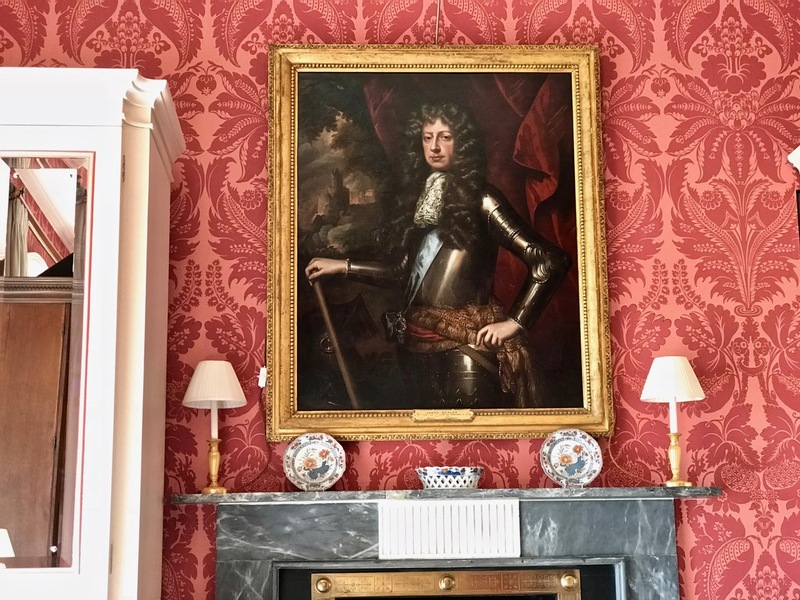 This is named after James Butler, 12th Earl and 1st Duke of Ormond (1610 – 88) who stared out at us rather severely from his portrait hanging over the chimneypiece. This Butler was Lord Lieutenant of Ireland three times, and was famous for having led the Irish royalists during the civil war. 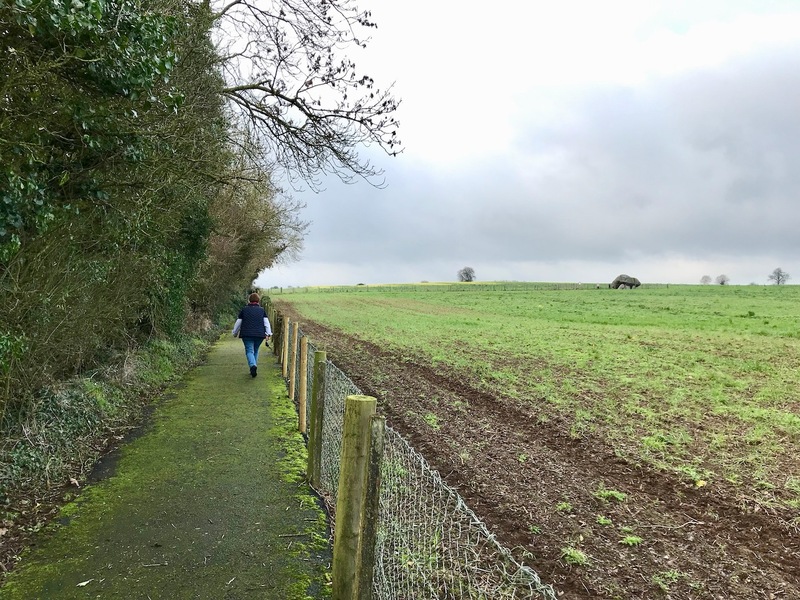 But James was only one piece in the huge jigsaw of the Butler dynasty which first came to Ireland during the 12th century Norman invasion. 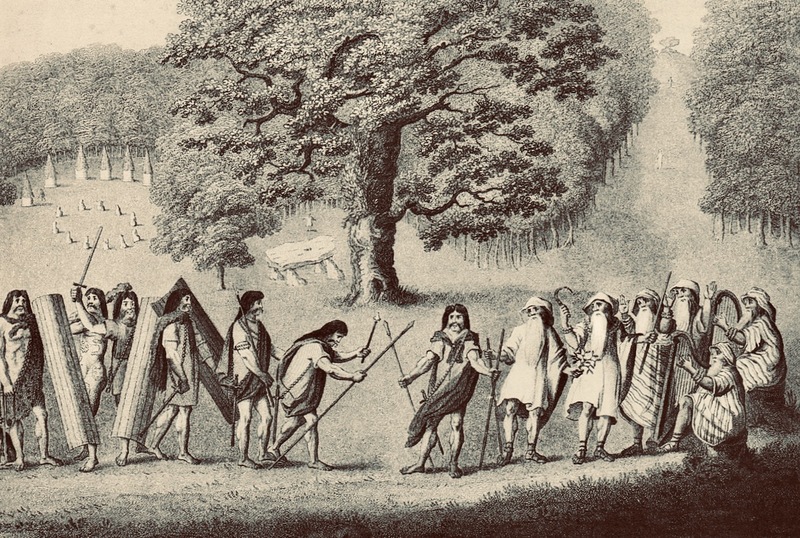 The name Butler was descriptive: in 1185, Prince John – Lord of Ireland – landed at Waterford and around this time granted the hereditary office of Butler (or ‘Botteler’) of Ireland to Theobald Walter, whereby he and his successors were ‘ . . . to attend the Kings of England at their coronation, and on that day present them with their first cup of wine . . . ‘ Later, King Henry II of England granted him the ‘prisage of wines’, to enable him, and his heirs, ‘ . . . the better to support the dignity of that office . 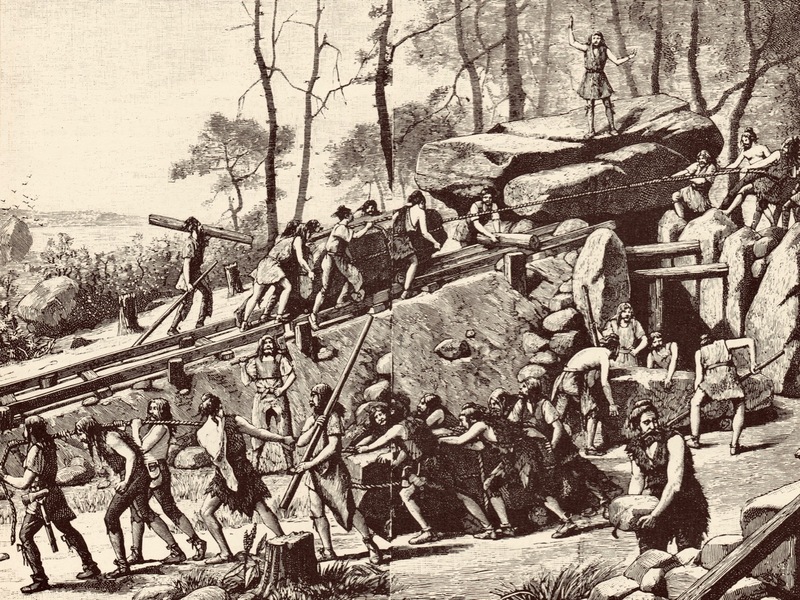 . . ‘ By this grant, he had the right to take two tuns (barrels) of wine out of every ship which discharged cargo in any trading port of Ireland, and was loaded with more than 20 tons of wine, or one barrel from a cargo of between 9 and 20 tons. Incidentally, the tradition of stocking and serving fine wines is being continued at Ballyfin, where we were shown around a magnificent purpose-built wine cellar! 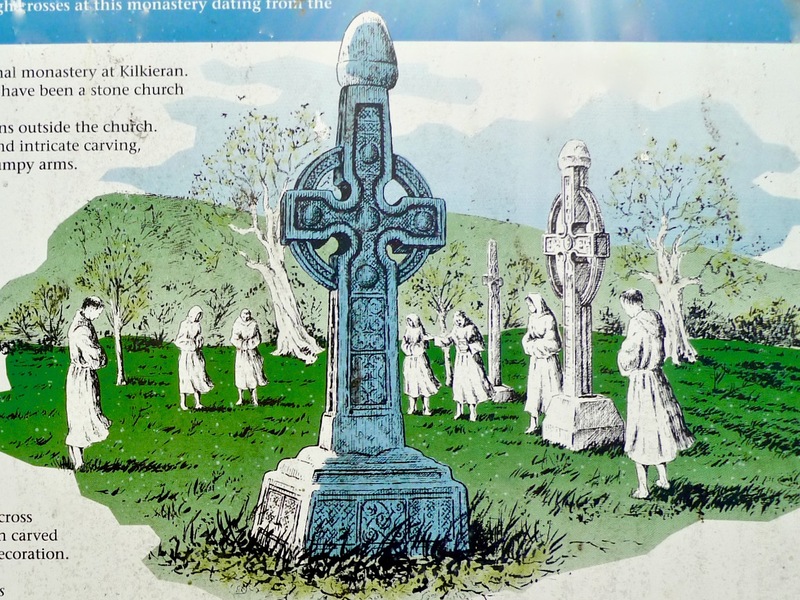 The medieval Butlers held lands in the Kingdom of Ireland encompassing large swathes of the modern counties of Tipperary, Kilkenny and Carlow. 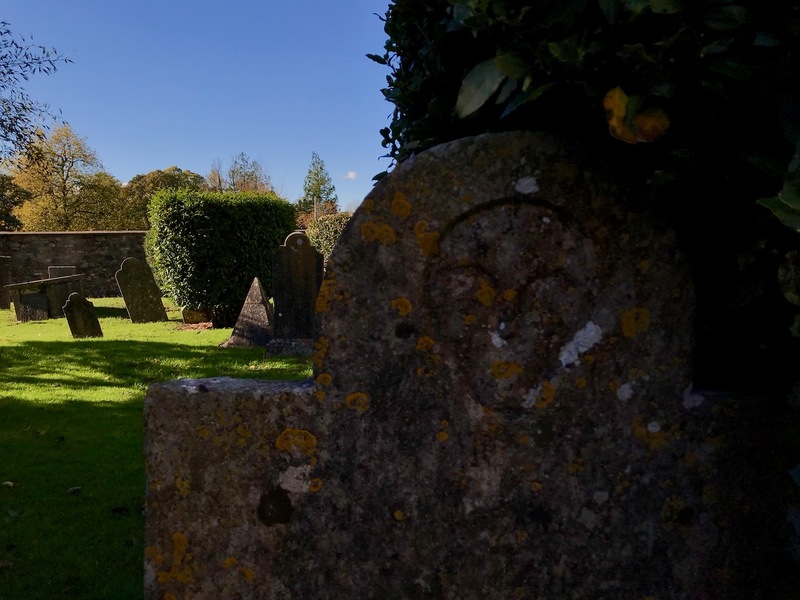 This week we encountered some of the early members of this family at Gowran in County Kilkenny, where Edmund Butler had founded a college of four priests in 1312 to pray for himself and his descendants in perpetuity.
. . . Behold, I send you forth as sheep in the midst of wolves: be ye therefore wise as serpents, and harmless as doves . . . 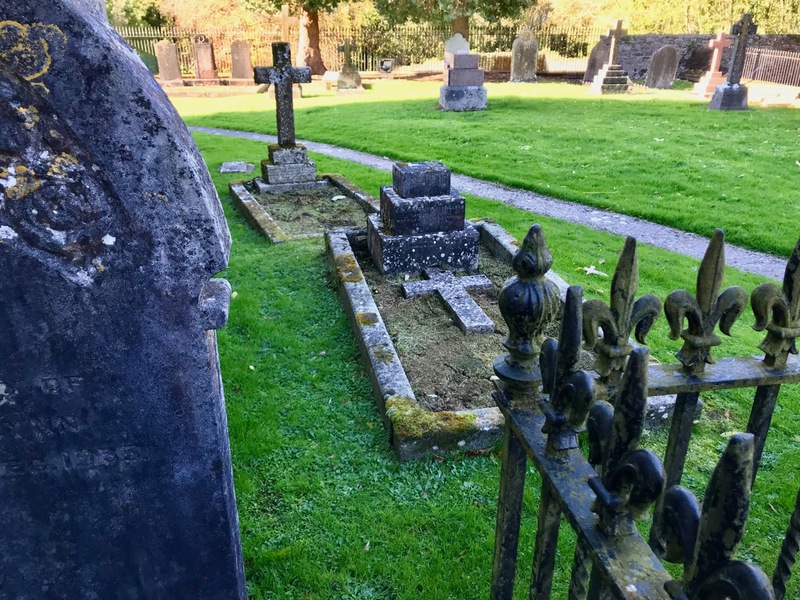 It is recorded that James le Butler died at Gowran, so it is reasonable to assume that these large slabs marked the graves of James and Eleanor, although we don’t know where the tombs were originally located. 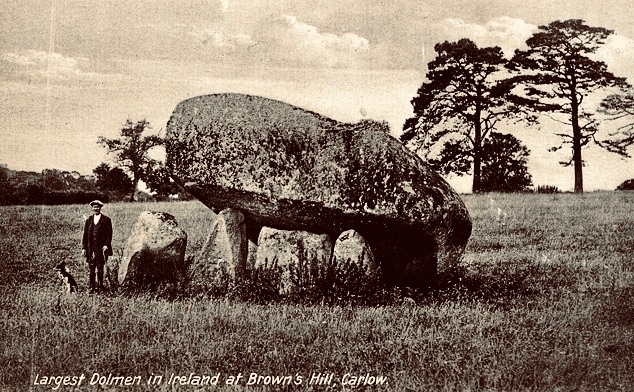 The following photograph (courtesy Trinity College, Dublin) was taken in the mid 20th century by Edwin C Rae who was Professor of the History of Art at the University of Illinois. 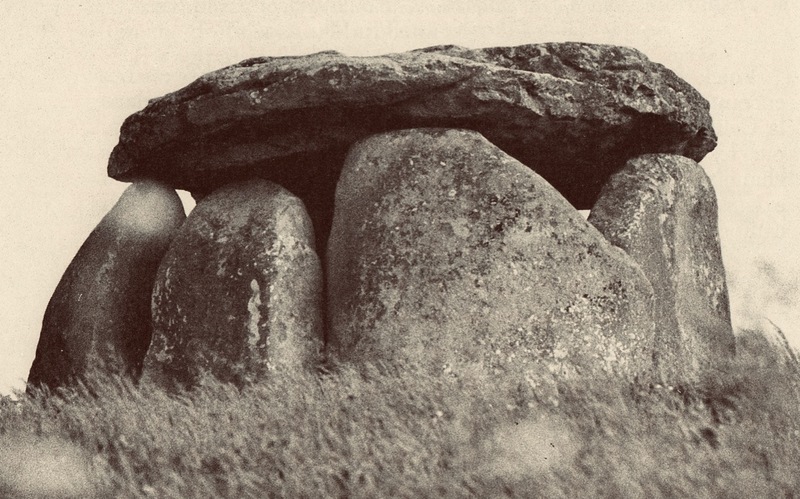 His Harvard PhD dissertation was on The Architecture of Medieval Ireland. 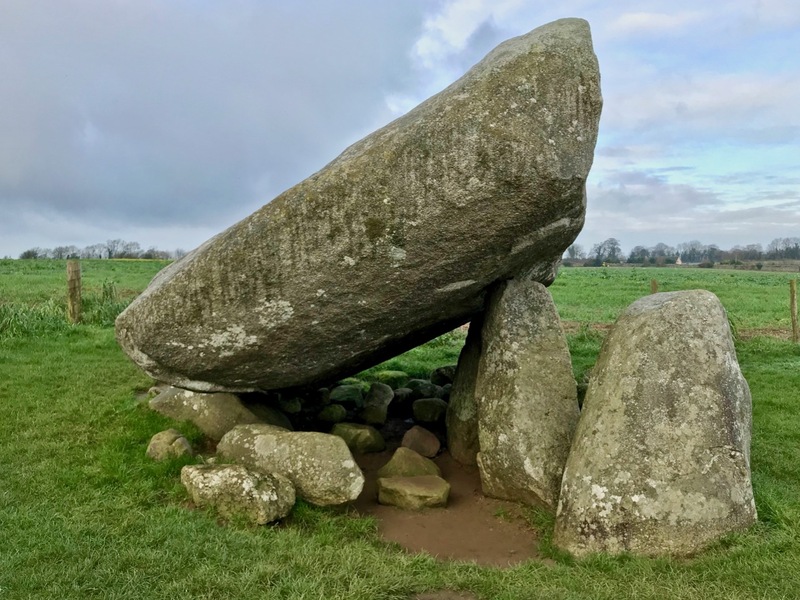 We are fortunate that all the monuments, plaques and tombs have been recorded in detail by local historians and are now in the guardianship of the State. There are also two wonderful windows in this church, one of which Finola is describing today. 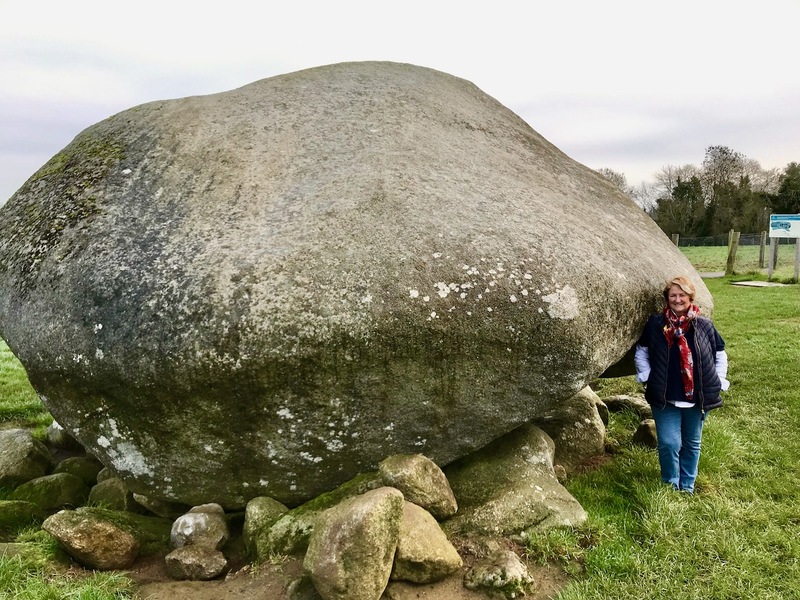 These little snippets were inspired by our unplanned visit, and we will be returning to Gowran in future posts. We really appreciated the tour and all the information which we were given by Lisa and Gerard of the OPW who were on duty on the day we called in. 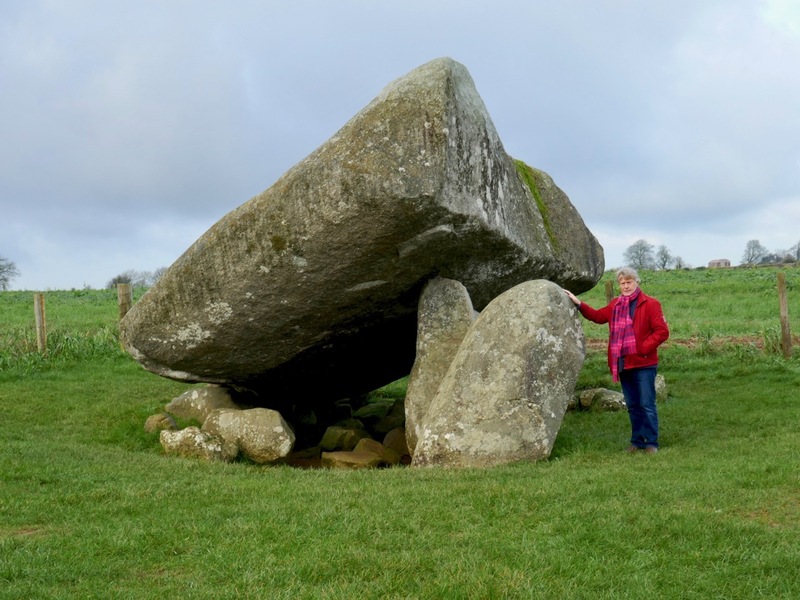 The roofed part of the church – which contains the effigy tombs, the ogham stone and many fine cross slabs – is open from mid May to the end of August from Wednesdays to Sundays. Telephone before visiting to be sure: +353 56 772 6894.